Langham Hospitality Group arrived in Sydney last night (8 Aug) in true style with an event celebrating the acquisition of The Observatory Hotel now to be known as The Langham, Sydney today. 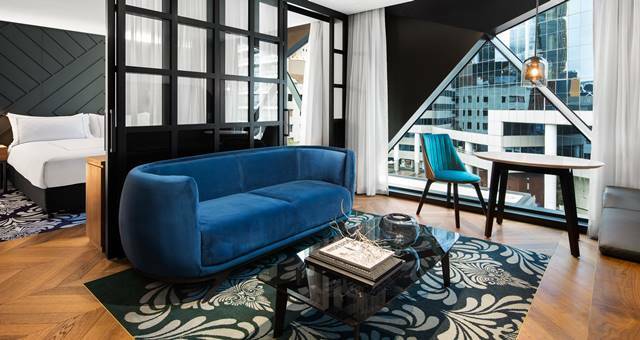 Formerly known as The Observatory Hotel, The Langham, Sydney has officially opened under its new name today. Located near Sydney’s historical Rocks district and the Central Business District, the hotel is the ideal luxury base from which to conduct business and to explore the city. The hotel is nestled near the vibrant harbour and the world-famous Sydney Harbour Bridge and Sydney Opera House, close to the bustling heart of the city with its fine selection of shops, museums, galleries and restaurants. “The Langham represents a true legend in the history of luxury hotels since 1865. We are delighted to bring The Langham’s enchanting hospitality to Sydney,” said Brett Butcher, Chief Executive Officer of Langham Hospitality Group. “This acquisition signifies the group’s plans for a long-term strategic expansion and be a major player in the quality end of the market in the Pacific region. We will be investing in progressive refurbishment to position this hotel at the very top of the luxury hospitality sector in Sydney,” said Butcher.